Hail the Pilot is an indie rock band hailing from Tacoma Washington in the beautiful northwest. Their new album, Divider, hones in on their unique brand of indie rock. From pulsating rhythms, dreamy guitar textures and soundscapes to over-driven walls of sound, they have set their sights on making a record that will enrapture the listener from beginning to end. While formed in 2016, Hail the Pilots roots go back years when drummer Bobby Stevens and singer-songwriter/guitar player Jason Iversen played in another band together for over 10 years. During that time, a passion and vision began forming between the two, eventually leading them to abandon their former band and create Hail the Pilot. Jason's brother Matt Iversen immediately joined on as the bassist, and in early 2018 Nathan Bena was added as lead guitar to add the final piece to the band. It started with a shared passion to record an album that isn't just a collection of songs but a cohesive experience where each song is part of a bigger story. "We wanted to do something that brought back the spirit of albums such as Pink Floyd's Dark Side of the Moon or Radiohead's OK Computer. You can listen to one song and it's great, but it's even better if listened to in the context of the album." The band decided on waiting until the album was out before hitting the stage again in an effort to remain focused on recording. The recording phase began in late 2016 and released April 10th 2018. Tacoma, WA’s own Hail The Pilot have just put out their serene and edgy single titled “In Circles”. The indie quartet may ring a bell for a few of you out there, as they draw in some early 90’s influences that are adapted into a more modern sound that is refreshing and inviting. What sets them apart from the other acts out there is their willingness to experiment and go outside of the box when it comes to getting their musical message across. 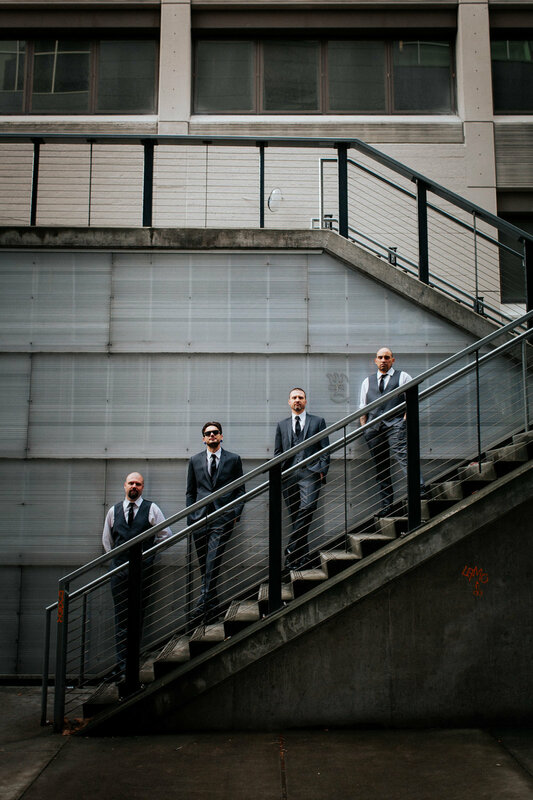 The gents have a more advanced sound than any other band I’ve come across, and they know how to keep the listener occupied with a bevy of different sounds that will draw a connection to the listener from something that they listened to before in the past. Hail The Pilot are one of those special bands that have that extra hidden spark to keep your attention throughout, but have a balanced musical pedigree that can appease listeners from a host of different genres.